Injured while working on a riverboat? We file Jones Act Claims. We will provide a free evaluation of any maritime claim of injury or death anywhere on any river, where the boat crew member was employed by a Tennessee or a Kentucky maritime commercial river transport company including any barge tow company or any other commercial enterprise that operates a riverboat. If the company refuses a fair settlement, we will file a lawsuit against the company if necessary. We file claims against the owners and operators of recreational boats and watercraft, towing vessels and tug boats, charter vessels, tank ships, passenger and cargo vessels, barges and fishing vessels, crew support and supply boats (flats). Working as a crewmember on the barges and tug boats or tow boats that ply rivers on courses originating in Kentucky and Tennessee is one of the most dangerous jobs in the region. Serious accidents occur that result in life changing injuries and sometimes death. These are sometimes called maritime or admiralty or “maintenance and cure” cases. If you were a crewmember of a river boat, a tow boat, or tug boat, or a member of a crew of any commercial boat, you’re probably covered by the Jones Act for maritime workers. Let us help you file a successful claim. The Lucius Hawes Law Firm has provided representation serving the needs of tugboat crew members and their families for more than 40 years. Our maritime practice includes injuries and death on rivers bordering and within Kentucky and Tennessee, and where tugboat crew members (sometimes called “Rivermen”) hired by Kentucky or Tennessee maritime companies suffer injury or death anywhere on water. Not a Kentucky or Tennessee resident? We can still help if you were injured while working for a Kentucky or Tennessee maritime company, on any navigable river anywhere. 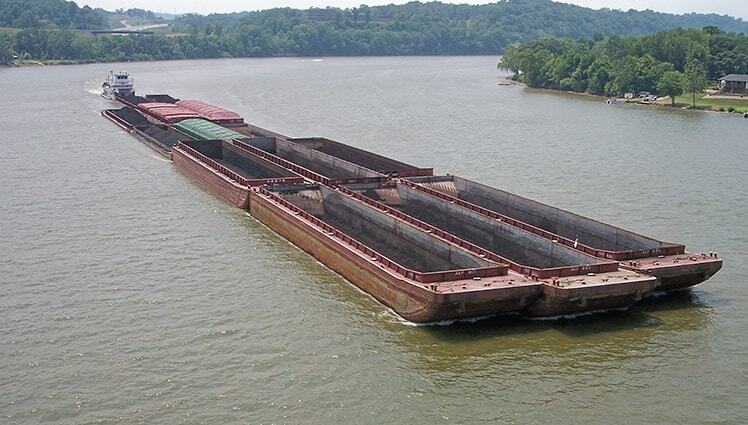 We provide a free consultation and evaluation for all types of cases involving river transport accidents, including accidents on barges and tugboats and towboats, causing injury or wrongful death. We handle accepted claims on a contingency fee basis so that if we don’t help you recover money in a settlement or award, you will not pay attorney fees; we do not seek reimbursement of case expenses advanced by the Law Firm unless you recover money. Please note: We only handle claims of genuine tugboat crew members. We do not handle longshoremen and harbor workers claims. Do you have a Social Security disability claim? If your injuries have put an end to your working life as a river transport worker, you may be eligible for Social Security disability insurance (SSDI).